Ratnatraya Laughing Buddha sitting on Money Frog made from polyresin. In feng shui, It is also known as Buddha of Happiness. Feng shui money frog symbolizes wealth and prosperity. 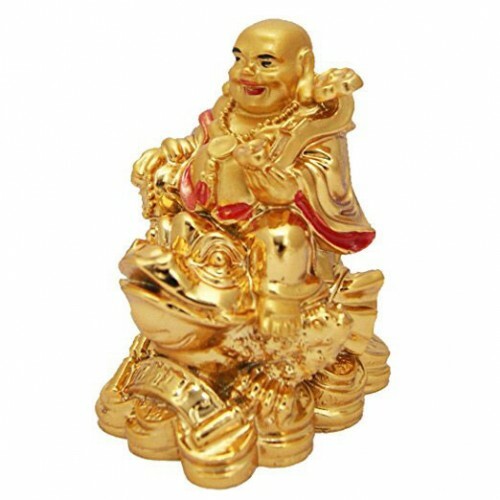 Buddha with frog is believed to attract happiness with wealth luck. It.. In feng shui Horse alone is a strong representation of business success and accelerated achievement. But when it is paired with monkey is more potent. 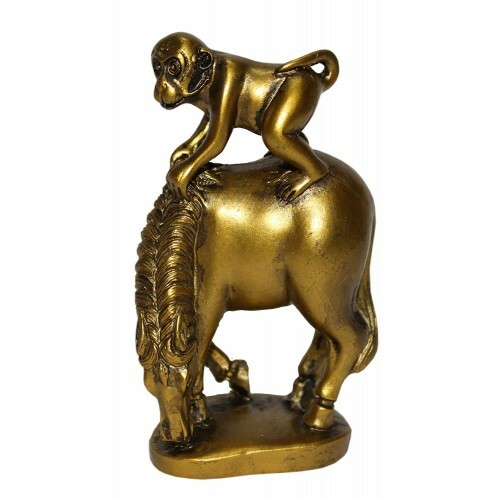 The Monkey riding a Horse signifies a Promotion & Increment that is fast approaching. In Chines..
Ratnatraya Buddha monk Incense Burner made from polyresin. 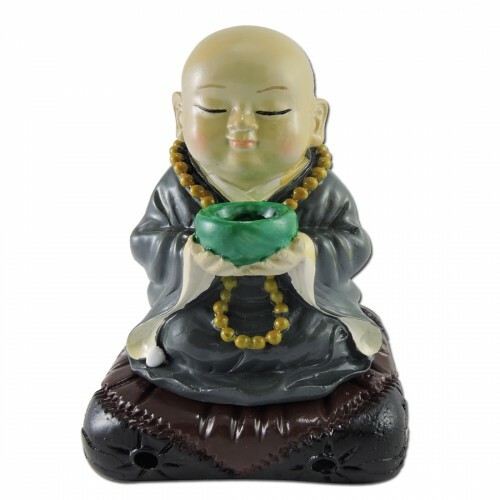 This little monk statue holding begging bowl symbolizes Buddha's teachings. This little monk statue comes with a stand which is used for a incense burner. We need to put a incense dhoop cone .. 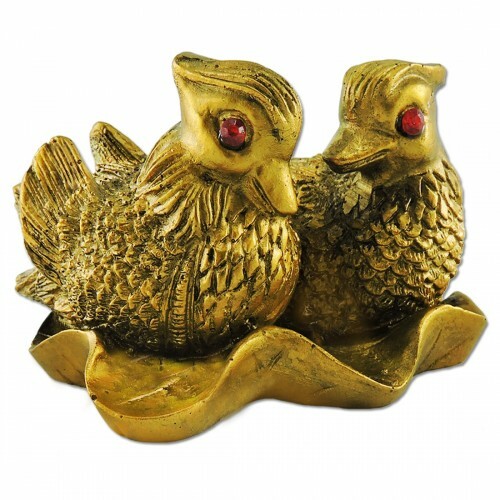 In Feng Shui, Mandarin ducks are the ultimate symbol of love and marriage. Always put the mandarin ducks as a pair as they symbolize togetherness. These ducks should always be placed side by side or together. As this symbolize togetherness. When you ..
Ratnatraya Feng Shui Money Frog made from quality polyresin material. 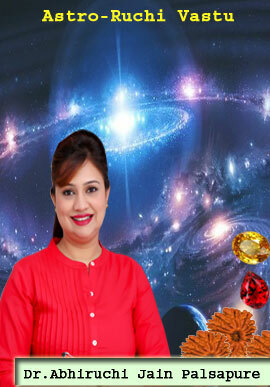 The feng shui money symbolizes wealth and abundance of prosperity. 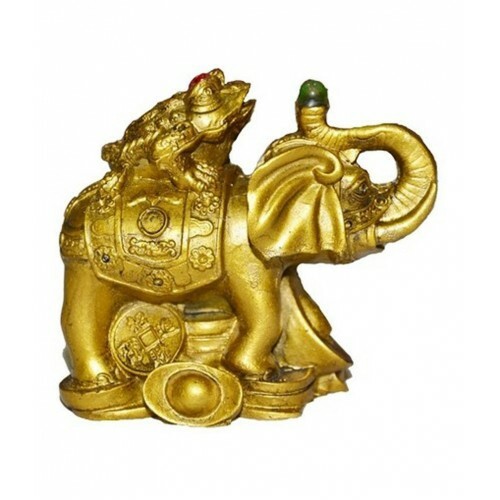 In feng shui, this three legged money toad is a mythological creature is said to attract wealth and creates good ..
Ratnatraya Feng Shui Money Frog Sitting On Elephant made from quality brass material. In feng shui, elephant is a symbol of protection, strength, fertility, wisdom and good luck. 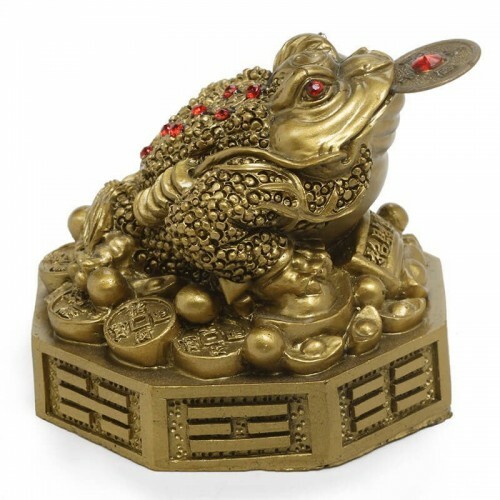 Feng shui money frog symbolizes wealth and prosperity. So,the combinati.. 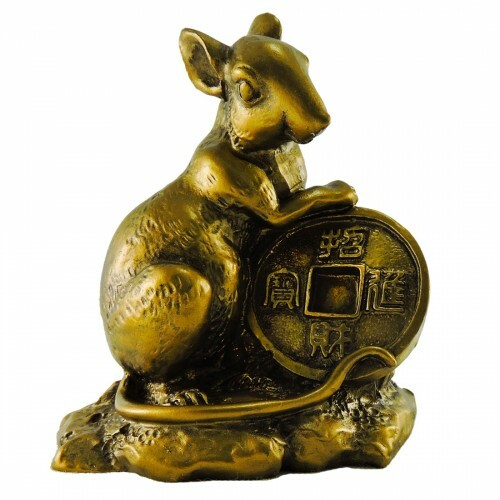 In Feng Shui, a rat is one of the symbols of the Chinese zodiac. It has characteristics of an animal with spirit, wit, alertness, delicacy, flexibility and vitality. Rat represents success and prosperity. 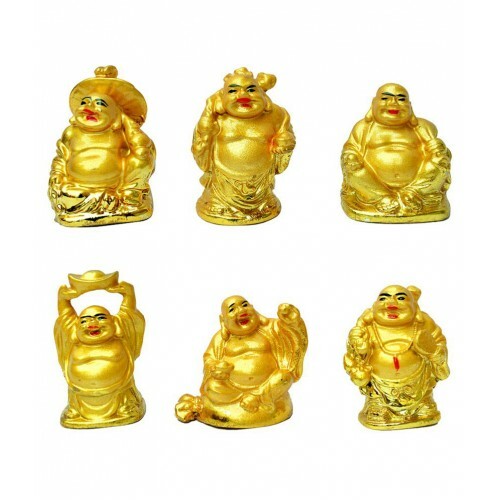 This Rat with coin figurine is believed to he..
Ratnatraya Feng Shui Set Of 6 Laughing Buddhas made from polyresin. The symbol of different types of laughing buddha holds various meanings. Sitting buddha symbolizes balance of thoughts and standing buddha symbolizes Happiness. Buddha holding ingot .. In feng Shui protection, good luck, wisdom and fertility are the main feng shui energies brought by the symbol of ​the elephant. 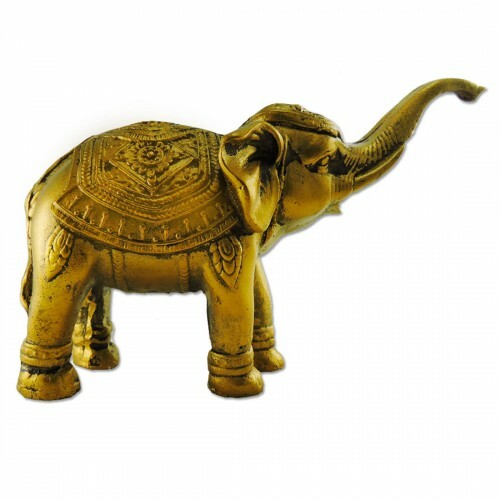 Always have the elephants with the trunk up, which allows the lucky energy to be spread throughout your home or office. &..